With several of the world’s largest investment banks as customers and numerous industry awards, including the FinTech50, two years running. Merit-Software was experiencing rapid growth, yet still struggled to communicate their core proposition and product position. Following an exclusive deal with Euroclear, the financial instrument clearing giant, ‘Merit Software’ positioned themselves as the go-to settlement and claims service for the financial markets sector. 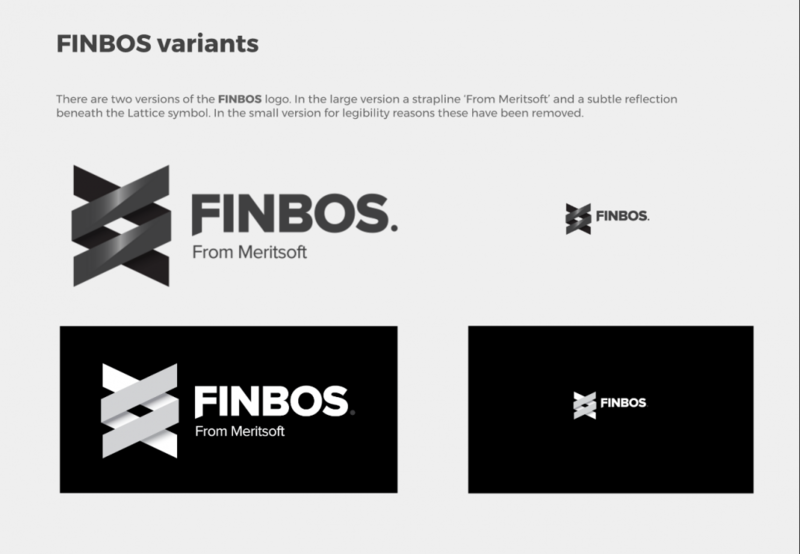 Firstly we carried out a detailed set of analysis which included interviews with current customers – some of whom expressed concerns that the existing messaging and design portrayed the business as small and too reliant on the high profile names of its owners and founders. This potentially limited Meritsoft’s appeal to other global investment banks, and it flagged another issue too; that the relationship with existing investment banks was confidential. So leveraging the names of Meritsoft’s impressive client base wasn’t easy. The way the software had been developed meant that Meritsoft could rapidly build new modules which solved industry issues as they arose. In this regard, they were highly reactive to important events that had major implications for the investment banking sector and needed a way to demonstrate this. However, the current website was tricky to update – which hampered efforts in PR and news – making the site content appear dated or slow. The name Merit-Soft was also an issue. 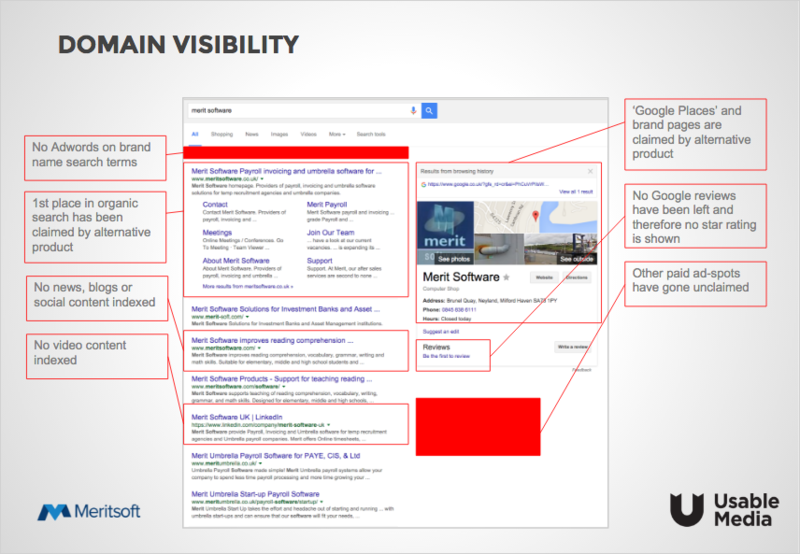 Other companies had already secured the terms ‘Merit’ and ‘software’, giving our client an indistinctive name and proposition which affected organic results on Google. 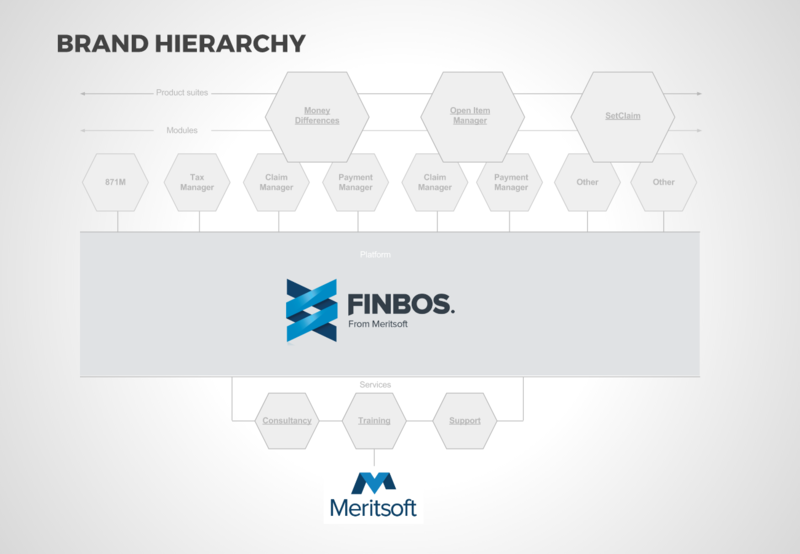 Further internal interviews also uncovered that the highly respected, Fintech-Award winning software that Meritsoft used at its core, didn’t have a specific name. We felt that solving this was critical to the future scaling and valuing the business. We tested several names and variants – concluding that ‘Meritsoft’ was the most logical and in terms of search – the most unique and distinctive. Although it wasn’t available, we used several online tools to track ownership and negotiate on our client’s behalf. We then set about evolving the brand identity so that existing customers could see consistency with the product they had bought into. With the brand name secure, we needed a name for the software platform. 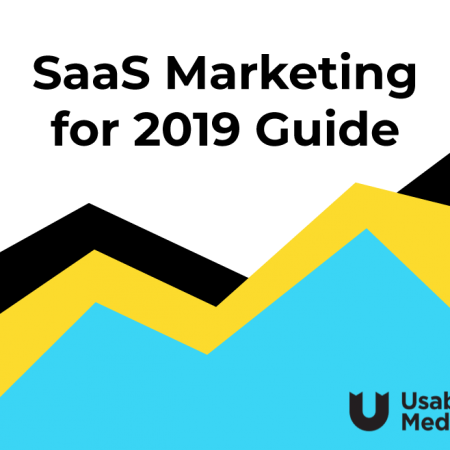 Like the company ‘Microsoft’ with the .Net platform and modules or products like ‘Word’, ‘Excel’ and ‘PowerPoint’ Meritsoft needed something to help describe and sell the product. Something original, descriptive, short, with no existing footprint and an available domain name (TLD). 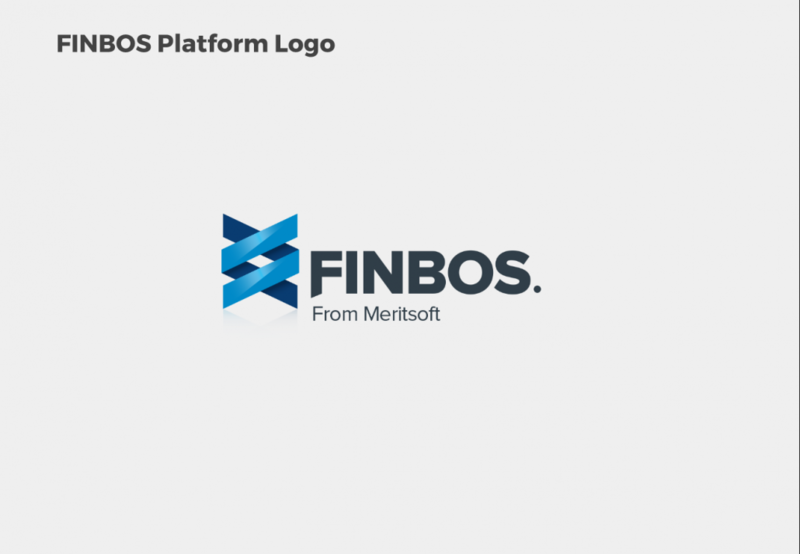 Almost impossible in 2017, but with many tests and discussions we worked with the client to find FINBOS, and created a unique marque to be used when describing the technology behind Meritsoft. Involving our Fintech expert Claire, we were able to refine the website content and develop new messaging and a tone of voice. We also crafted some new short-hand messages which quickly communicated key attributes of the business. By referencing a league table on the FT.com, a new top-level claim was created; “Used by 5 of the top 7 tier one banks” and supported with “Trusted by Euroclear to make STP settlements”. After defining the brand personality and core propositions, we developed a best-in-class website that would support ongoing content and PR efforts. Using our award winning WordPress platform in conjunction with our world-class design and development team. We went through several iterative prototype and design phases, before launching the final version at meritsoft.com. 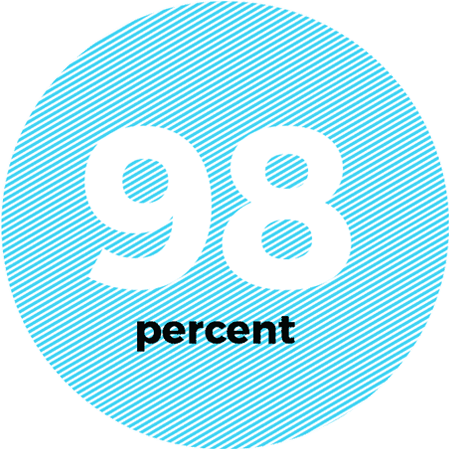 Early indicators show the website and external SEO factors are generating strong traffic and lead generation. Usable Media executed a new website and brand to support an ongoing content strategy plan. 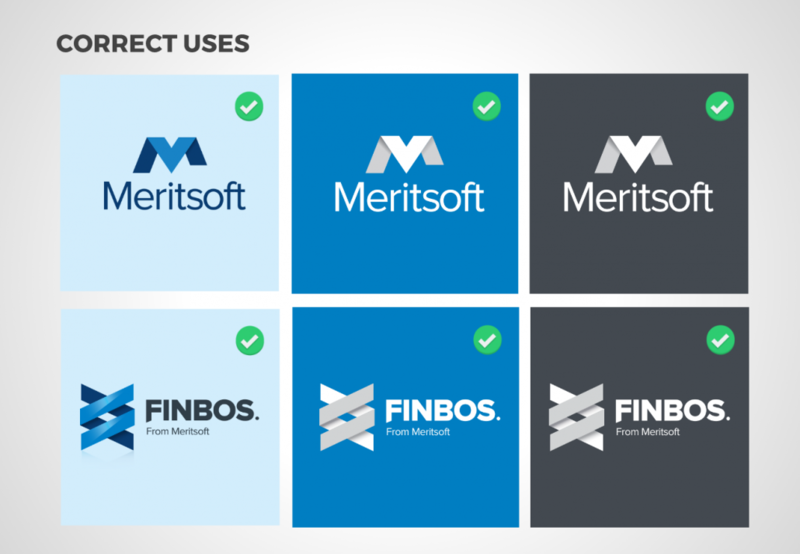 Meritsoft now ranks for key lead-generating terms – supporting new business.